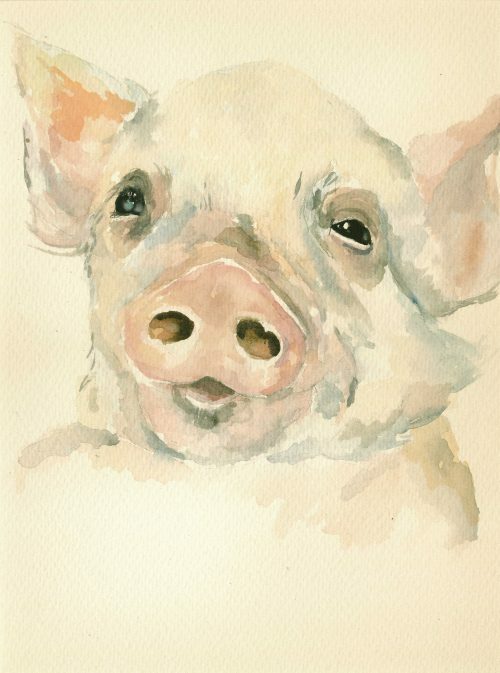 A stunning portrait of Bubbles the infamous rescue piglet. Bubbles’ loving character and expression perfectly captured on watercolour by renowned artist, Chloe Cassidy (Koko Loco). Printed on Fine Art Paper (Hahnemühle). Mounted on matboard with foam backing board. Ready to frame.